A series of short stories chronicling how Reinhard von Müsel and Siegfried Kircheis rose through the Galactic Empire's military and Yang Wen-li's rise through the Free Planet's Alliance military. Sub-lieutenant Yang is reminiscing about the past. As the battle between the Free Planets Alliance and the Galactic Empire intensifies, he's put in a difficult position. 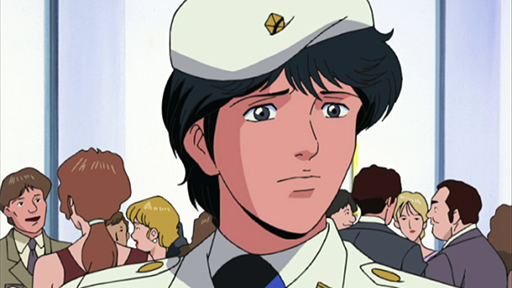 Yang Wen-li skyrockets to fame and gets a promotion to Lieutenant for his bravery in the civilian evacuation. Yang Wen-li digs deeper into his investigation and begins his review of the history of the Year 730 Mafia. Yang Wen-li reminisces about his days in the Free Planets Alliance Officer Academy. Meanwhile, he continues to look into the circumstances surrounding Bruce Ashbey's death. In the Second Battle of Tiamat, we see the Alliance Fleet under the overall command of Admiral Bruce Ashbey and the famed year 730 Mafia. In continuation, the Alliance Fleet and Imperial Fleet engages each other again. Bruce Ashbey exploits in the battle seem to be his undoing. Yang Wen-li attends the funeral. Meanwhile, he discusses the Year 730 Mafia with someone of the attendees. He later finds out he has been reassigned. After his reassignment to the planet Econia in the Thanatos Starzone, a prisoner of war camp, Yang Wen-li meets some veterans of the Second Battle of Tiamat. A prisoner takes some Free Alliance officers hostage. Yeng Wen-li is ordered to turn himself in to the prisoner for the safe return of the hostages. Yang Wen-li starts to uncover more about the camp. Captain Barnaby Costea fears this and begins a cleansing of the rebelling prisoners, hoping to kill him in the crossfire. Mruai is sent down to assess the situation in the Ecoia Internment Camp. Captain Barnaby Costea is later found guilty and is imprisoned. Yang Wen-li transfers out of Econia alongside Fyodor Patrichev. Yang Wen-li is told another story about the Second Battle of Tiamat and sparks his interest. After Christopf von Köfenhiller untimely death, Yang Wen-li and Fyodor Patrichev arrange the funeral and bid their farewells. Yang Wen-li continues his investigation. Yang Wen-li investigation finally comes to an end when he presents his information on the alleged murder of Free Planets Alliance war hero Bruce Ashbey. 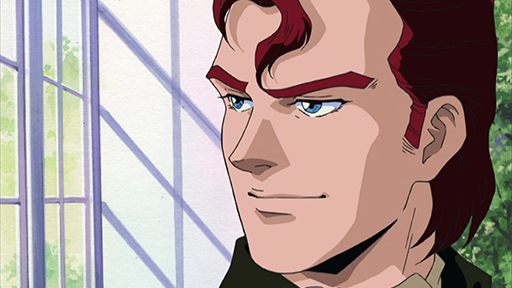 After graduation from military preparatory school, Reinhard von Müsel and Siegfried Kircheis are both posted to the planet Kapche-Lanka as their first assignment. Reinhard von Müsel and Siegfried Kircheis are dispatched to do a survey deep into the planet Kapche-Lanka all by themselves. 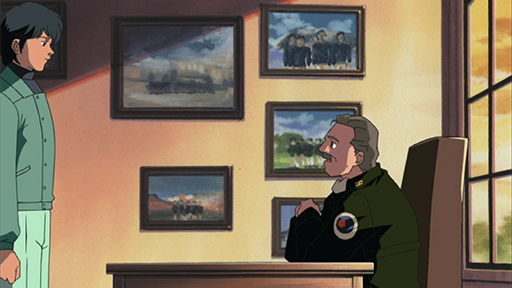 After a successful ambush, Reinhard von Müsel and Siegfried Kircheis find out information about an upcoming Alliance surprise attack on the base. Reinhard von Müsel, acting oblivious to Herder's attempts to murder him, tells him to attack the Free Alliance outpost as a counterattack. After their transfer out Kapche-Lanka, Reinhard von Müsel and Siegfried Kircheis are assigned to the destroyer Hameln II. Hameln II is ambushed and struck first by an Alliance squadron. The resulting damage injured the captain. Reinhard von Müsel gains command. Lieutenant Bertram plans to self-destruct the destroyer Hameln II and die honorably. Reinhard von Müsel and Siegfried Kircheis have other plans. 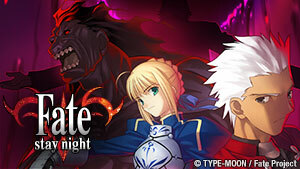 Both Reinhard von Müsel and Siegfried Kircheis proceed to with the plan and Lieutenant Bertram volunteers on a risky mission. 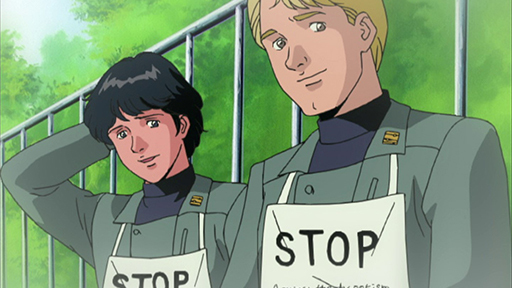 Reinhard von Müsel and Siegfried Kircheis are assigned to the Investigation Department of the Imperial Ministry of Military Affairs in Odin. News of Reinhard participating in the dual spreads through high society. Meanwhile, an assassin is given the perfect opportunity. The duel begins, and both respective agents of the Schafhausen and Herxheimer families are weary. Missing their first shots things go downhill. The assassin challenges Reinhard to another duel. Reinhard accepts the challenge as he was also dissatisfied with the results. 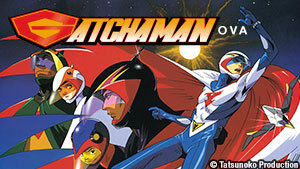 Reinhard has the mission of tracking down and apprehending Count Herxheimer after his appointment as captain. Reinhard successfully infiltrates the Free Planets Alliance space undetected. He comes into contact with Herxheimer's ship. The Hässliche Entlein manages to destroy the pursuing Alliance ship. Reinhard tries to strike a deal with count's ten-year-old daughter. 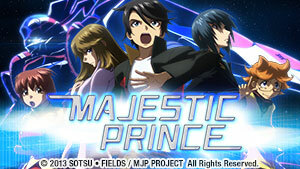 Margareta is allowed to defect to the Free Planets Alliances, and Reinhard learns some harsh truths. Both Reinhard von Müsel and Siegfried Kircheis are waiting for their next assignment and decide their alma matter. 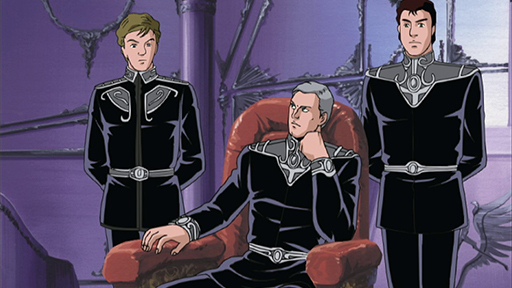 Reinhard and Kircheis start to investigate the death of Karl von Reifeisen, and must dorm in their alma matter. Reinhard finds it hard to forget the past. At the funeral, Reinhard notes that Haase's eulogy is formal but has no emotional worth. Another murder occurs. After the death of two victims, Reinhard and Kircheis start to recount the events that led up to the murders. The Imperial forces clash, in the Van-Fleet Starzone, against the Alliance troops. Reinhard lament the incompetence of both forces as he is obliged to watch. The Battle of Van-Fleet Starzone is at a standstill with neither side standing down. Both sides start expeditions to plan their next move. Walter von Schönkopf sends a reconnaissance mission to find his superior. He must work against time to plan an adequate defense against an Imperial attack. Hermann von Lüneburg and Reinhard von Müsel are preparing for the next assault by the Alliance. Reinhard has a hard time accepting Lüneburg's leadership. The Imperial forces continue to batter the Alliance's rear support base and can't seem to break through their defenses. After some time, the Imperial forces finally break through the Alliance's rear support base. Reinhard captures the commander of the base. Lüneburg is trying lobby against Reinhard. Ovlesser rebuffs his attempts as his dislike Lüneburg runs deeper. Siegfried Kircheis reminisces about his childhood. Meanwhile, Reinhard starts to move up in the Imperial Empire. Reinhard and Lüneburg get into an altercation but is restrained. Reinhard finds out more Lüneburg's past. Reinhard von Müsel and Siegfried Kircheis go to Iserlohn Fortress. 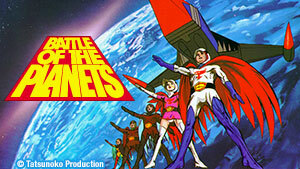 The Free Planets Alliance prepare a large-scale attack on the fortress. The Sixth Battle of Iserlohn begins. With the battlefield constantly shifting, Reinhard makes some discoveries. Yang Wen-li advises a retreat but his plea goes unheard. Meanwhile, Reinhard wants to deal a fatal blow to the Alliance fleet. The Galactic Empire announces a large scale military campaign against the Free Planets Alliance. The Alliance prepares for battle. As the battle continues, Willem Holland continues to dominate the battlefield until Reinhard outmaneuvers him and quickly makes work of the 11th fleet. 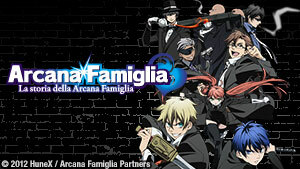 Kircheis goes on vacation to Kreuznach III, but nothing goes as planned as he is drawn into an investigation. Kircheis receives an invitation and goes to the designated area. He learns about Keyserling past and why he's at the resort. Kircheis is suspicious of Keyserling's friend who claims to only just arrived. In the meantime, he tails a suspicious looking man only to be ambushed. Kricheis figures out the true master mind behind the thyoxin trafficking organization. With neither Keyserling nor Basel's wife to testify Kircheis is stumped.